PMA took numerous honors at this year's World Scholar's Cup LA Round. Congratulations to all! 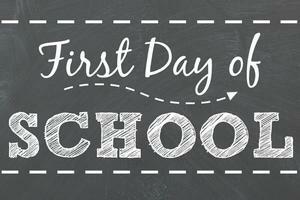 The First Day of School (Mandatory Orientation and Picture Day) is on August 10. Click here for more details. 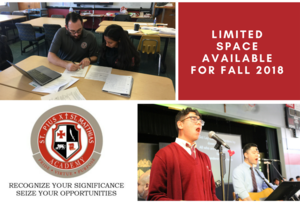 There are still limited spots available for Fall 2018. Click here to apply online. Be sure to tune in to Spanish television Channel 34- as PMA is featured on the Univision morning Show "Al Primer Dia". Show will air on Friday November 3, 2017 from 5:00 am-7:00 am. Students and families attending the taping must arrive by 4:30 am and report to the gym. Breakfast will be provided at 7am after the show. Dismissal will be at 12:40 pm for those students who attend. Join us as we gather to pray in thanksgiving for the blessing our school community in celebration of National Catholic Schools Week. Mass at 9:45 am with Auxiliary Bishop Joseph M. Sartoris. On Monday, Aug. 21, St. Pius X - St. Matthias Academy held a historic groundbreaking ceremony to celebrate the beginning implementation of its new Campus Master Plan. Check out the article by PMA Board Member Mario Guerra in the Downey Patriot. Excitement is building for Warrior Football at PMA! We welcomed our partner schools to experience hands on learning in our Makerspace.